This coming month, Ite ad Thomam turns 10 years old! Hurray! But perhaps more obviously, Ite ad Thomam has also been mostly dormant for the last four years, or since around 2012. I would like to take the occasion of our 10th Anniversary to offer an apologia for my relative absence, together with a renewed resolution to continue the blog, announcing a change of focus in the content of future posts. Apologia Pro Absentia Mea. While in philosophy graduate school at Marquette University, I decided to take up medieval philosophy as my area of specialty for an obvious reason: my love of St. Thomas, which grew out of my love for the Church and for truth. But within medieval philosophy, Divine Providence led me to great mentors at Marquette who among other projects led a research group called "Aquinas and the 'Arabs'", which as the name suggests focused on the relationship between St. Thomas Aquinas and his Arabic predecessors (Al-Farabi, Avicenna, Averroes, Maimonides, etc.). During this time I was able to appreciate St. Thomas' thought under a new, historical light, and it gave me the opportunity to compare the insights of so-called 'historical' Thomist with more traditional Thomists like Cajetan, Hugon, Garrigou-Lagrange, and others. Moreover, in grad school I had the leisure, intellectual curiosity, and freedom to do research outside of these areas, and to venture into traditional Catholic issues to my heart's content. I even did an MA in Theology 'on the side', because I felt that since St. Thomas was a theologian by profession, he cannot be understood fully from an exclusively philosophical perspective. That rich exchange of ideas filled my head and my heart and I had to find a way to communicate them, following the Dominican motto, contemplata tradere aliis ('to hand down the fruits of contemplation to others'). I knew that later, as a scholar, I would be able to do this, but at the moment I was not yet ripe enough to publish my ideas in academic journals. Yet I felt that some things had to be said then, so that is how the blog came to be in 2005. The basic idea of the blog was to share my research on issues that could be of interest to traditional Catholics. In 2009 my life started to change. That year I finished my Ph.D. in medieval philosophy in May, and in July I moved with my family of 6 to Guadalajara, Mexico, to take a job as assistant professor at Universidad Panamericana (UP), a university affiliated with Opus Dei. Taking that job in Mexico has proved to be the second-best decision of my life, the first being having married my lovely wife. My first three years or so there (2009-2012) were spent in relative leisure, learning to be a professional philosopher and building my CV with publications and other research activities. For the first time in my life my income was respectable, and I was able to rely on a stable paycheck and fringe benefits. My growing family was experiencing relative stability for the first time. From 2005 to 2012 the blog had plenty of posts on traditional Catholicism and Thomism and generated a significant readership. But by 2012 my research and publications were significant enough that I was granted membership in Mexico's National Research System (SNI). This means receiving a significant stipend so long as a publication quota is met; the quota involves choosing a rather narrow line of research and to publish in prestigious academic journals on that line of research. In addition to increasing my income, being a member of SNI also opened doors in the world of academia. I now travel internationally once or twice a year to conferences on medieval philosophy to present my research papers and receive feedback from other experts in the field (expenses paid by UP). This feedback has been of great help in preparing papers for publication. My chosen line of research, given my heavy involvement with the aforementioned research group, could be summarized as "Aquinas and Medieval Arabic Philosophy of Religion." Yet this narrowing down of my focus meant that what would be in my mind most of the time, with few exceptions, would be less and less related to the general themes of Ite ad Thomam. Almost at the same time as I made it into SNI, I was asked by the higher-ups at UP to take on the duties of chair of the Humanities Department for a short period of time. This was an amazing opportunity that I gladly took up. My teaching duties were reduced so that I could continue my research trajectory and still handle the administrative burden. 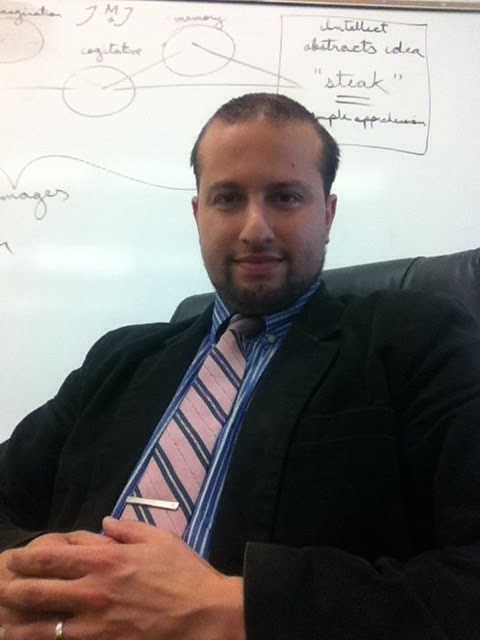 From 2012 to 2014, I was successfully publishing in academic journals, meeting my research quotas, and at the same time doing (in my opinion) a respectable job as department chair, so I was promoted to Associate Professor. All of this of course meant not only a higher salary and a greater sense of committment to UP, but also that my time was very limited and blogging would just have to be put on hold. This was even more so the case as my family, by God's grace, kept growing. Yet despite my professional success, during all those years in Mexico my family, especially my wife, had not adjusted well to the culture there. In 2014 my wife started to push very seriously for us to move back to the US. She was badly missing her family and her home state, Oregon, with its beauty, its comforts, its great healthcare, and its people. By that time we had a family of 8, and all the kids were rooting for her. So I caved in and in May we moved back, without a clear idea of what I would be doing for a living in Oregon. After months of not having a job in the US, through the intercession of Our Lady and many other saints, I was able to work it out with UP to continue to work as a research professor there without any teaching duties, so that I could live away from the campus. So as of right now I live in Oregon and continue as research professor at UP. I can continue researching and publishing from here, as opposed to having to live there in Guadalajara, so long as I meet my research quotas and remain a member of SNI. (If I drop out of SNI I might have to move back.) Additionally, I may, and do, travel down to the Guadalajara and Mexico City campuses to teach intensive courses on an as-needed basis. And that's what I've spent doing the last year: adjusting to our new life in Oregon and continuing to work on my research (in addition to having our seventh baby and putting two of my children through major surgeries, but that's another story.) Point is, Ite ad Thomam had to be put on pause. So that's what I've been up to, and that's why the blog has been mostly dormant since 2012. My academic life has changed too much (plus it was just way too busy) for me to be posting frequently on traditional Catholic issues. Also, I have too much pressure now as a scholar to produce a certain kind of publication in a research area that has only an indirect relationship with traditional Catholic issues. So I just don't spend the majority of my time thinking about traddy issues anymore, like I used to in grad school and in my early years as an assistant professor. 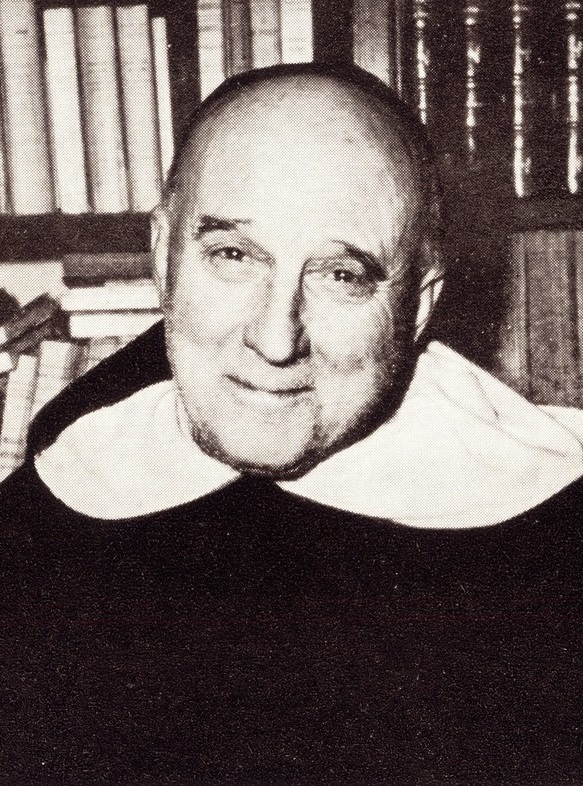 And, besides, in my years studying those issues, through authors like Garrigou-Lagrange I was able to find answers to most of those preoccupations, at least to my satifaction. Frankly, my study of providence and predestination was the key to them all, since it led me to "cast my cares upon the Lord," and that gives me the serenity to focus on other philosophical and theological problems that were on Aquinas' mind but which are less explored in the secondary literature (such as the nature of religious worship and sanctity), which provides me with the opportunity to do a bit more significant, or even groundbreaking research. New Resolution. I am still a traditional Catholic; I have not deserted the faith (may God grant me final perseverance!). In fact lately I have dedicated some time to traditional Catholic projects of a more practical nature for my area, such as this one. I also participate in traddy conferences like this one. And I do still remain committed to promoting traditional Catholic thought through Ite ad Thomam. But if I am going to continue posting, if I am going to continue contemplata aliis tradere, I have to share what is in my mind, and what is in my mind is what I research, and my life as a traditional Catholic professor of philosophy. So after taking some time to think about it, I've decided to change the focus of Ite ad Thomam provisionally, in an experimental fashion. Change of Focus. I secretly envy my wife's blog because her posts are so simple, and yet so elegant and beautiful. Whereas my blog posts so far have required lots of thinking, she has been able just to blog about her life, the way it comes at her. She doesn't have to think much about it; she just takes a few pictures of the kids here and there, or of her garden, or her fitness progress, and tells the story behind it. (To do justice to her, she often shares very insightful reflections about what she posts.) Still, I don't see why a trad professor can't do the same with his own life as a professional. There aren't that many traditional Catholic professors actually employed at universities nowadays, and from that very select minority, I can't think of many who blog about it. In fact, in the 10 years that I've run the blog I have received a massive number of emails from young aspiring scholars (grad students, seminarians, young scholars, etc.) who want advice regarding the profession. Not only where to study or what to study, but how to build their CV's, how to prepare for interviews, where to publish, what line of research to go into... a lot of what I do for Ite ad Thomam is help others deal with this odd profession. I believe it may be of interest to at least some readers to share with them my life as a traditional Catholic who is trying to be a successful professional (actually, a saint) in academia. So let's give it a try. In the next months I am going to change the focus of the blog a bit, give it a more practical tone, so as to reflect what is really going on in my mind. I will post about my current research, about the my conference travels (I have lots of pictures of Europe! ), about my teaching, and whatever other academic topic comes to mind. I will try to post frequently, hopefully about once a week, and the posts will often follow a stream-of-consciousnees style, like this one. There will probably be an occasional heavy, academic, theoretical article on some philosophical or theological issue, but it will be related to my current research, and not necessarily to a traditional Catholic issue. Given that my research has occasionally stumbles upon a traddy issue, like the issue of handing the death penalty to heretics, I'll post on that, too, at some point. But most posts won't be that relevant to trad issues, and some will quite frankly seem somewhat bland. But one thing is for sure; it will all relates back to St. Thomas somehow, and insofar as St. Thomas is the doctor communis, the Doctor of Doctors of the Church, it will hopefully be of interest to traditional Catholics. Please leave your feedback in the comments section. Sancte Thoma, ora pro nobis!